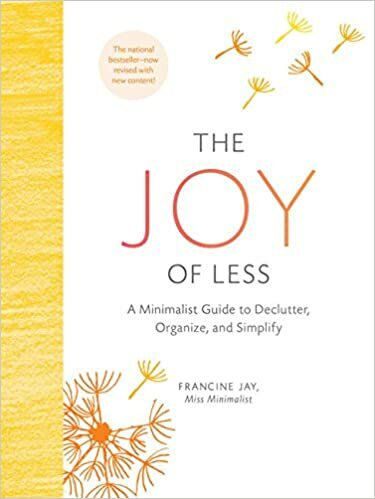 If you just can’t get enough tidying, or if you like the idea of Marie Kondo’s method but not the details, try these alternative tidying books available at Nevins Library! Linda Cobb lends a regal air to the process of cleaning your house, which is helpful when you’re feeling more like Cinderella. Her advice skews strongly practical – for example, check your antiques in buyer’s guides before you toss them. She also delivers a dose of humor that’s fun, if a little dated. (There’s at least one Roseanne joke in there.) Cobb is a big fan of upcycling too, with recommendations for turning fur coats into teddy bears and fruit baskets into tea holders. Alison Haynes doesn’t limit herself to de-cluttering, but gives you great tips on household cleanliness as well. For example, did you know that you can turn nearly-exhausted bars of soap into liquid soap by soaking it in water, boiling it, and then pouring it into a reusable dispenser? This book is packed with interesting tips like that. It’s also very allergy-conscious and offers lots of great cleaning alternatives for people with sensitive skin. Don Aslett was a household guru in the nineties. His books are charmingly illustrated with quirky doodles reminiscent of an old-fashioned newspaper comic strip. 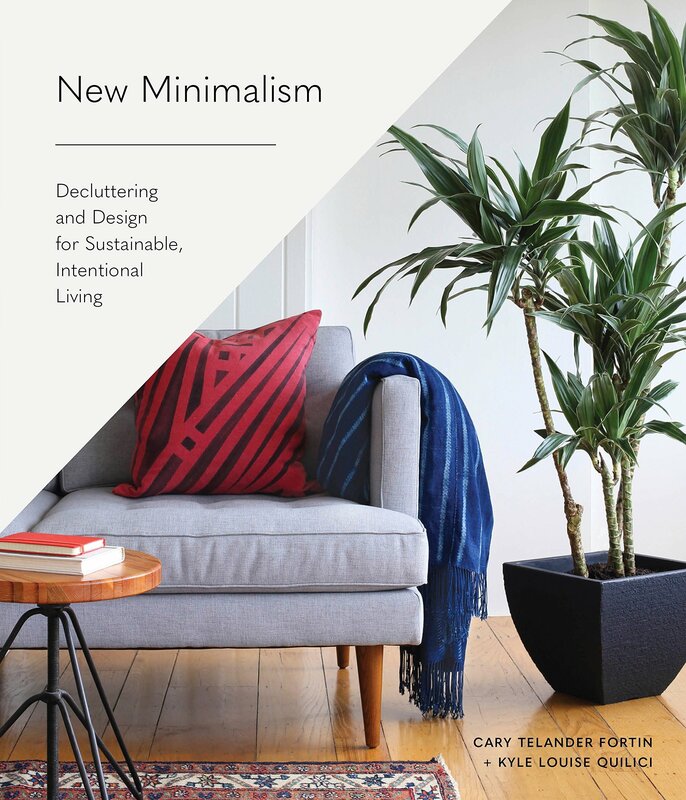 Unlike modern minimalists, Aslett isn’t overly concerned with what a bunch of extra stuff will do to the planet – he just wants you to have a tidier life. The book offers a lot of advice about the lifespan of household maintenance substances, like spackle and hoses, that will be useful to people forging into their first homeownership experience. Also: did you know that canned food goes bad in under 18 months? So much for my fallout shelter. The impetus behind this minimalist manifesto is sustainability. As the books correctly points out, there is no such thing as “away” – as in, if you try to throw something “away,” it’s just going to end up in someone else’s backyard. The idea behind this minimalism is to donate, repurpose, and create less household junk going forward. 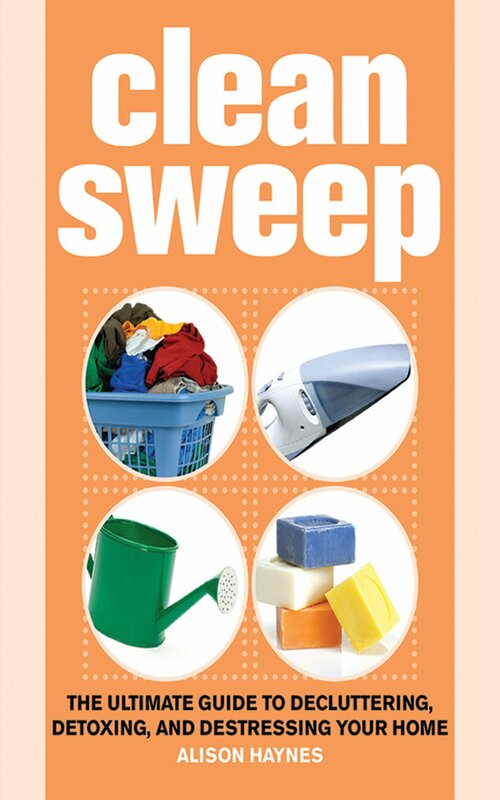 This handy little book includes tips for managing your house that you might not think of. For example, it recommends pouring boiling water down your drains once a week to clear out soap, hair, and other stuff. It also recommends pairing chores. For example, when you feed the dog, sweep the floor at the same time. Categories: Books, Non Fiction | Tags: apartment, cleaning, cleaning books, clutter, de-clutter, de-cluttering, declutter, decluttering, home, house, Konmari, minimal lifestyle, minimalism, minimalist, minimalist lifestyle, stuff | Permalink. On a recent snow day when our library was closed, I had a chance to get back to de-cluttering my house. In the fall I had started to seriously think about how my clutter was affecting my life. Does physical clutter make for mental clutter? Would I be able to clear my head and focus more if my house looked like a clean, bright magazine spread? Being a librarian I immediately looked for a book on the subject to read. Clutterers tend to procrastinate so maybe this was a stall before actually doing the dirty deed of getting rid of stuff?… At any rate, I became fascinated with the psychology of hoarding and found the below two books most instructive on the reasons why one clutters and how to address the underlying issues of it to guard against the accumulation of more stuff while clearing the present detritus. In his memoir, Yourgrau refers to Randy Frost’s book for the science and psychology of hoarding. The Frost book is in our library stacks, so now that’s on my “to be read list”. Well, since I already have a “to be read” list, there’s no harm in adding one more title to the collection… That’s not “hoarding” talk, is it??? Categories: Books, Non Fiction | Tags: clutter, de-clutter, declutter, hoarding, junk, stuff | Permalink. How hemmed in by your stuff are you? As your kids drag back-to-school supplies and new clothes into your home, do you find yourself despairing, yet again, of any potential that you might ever manage it? Don’t give up hope! These books are here to guide and inspire you until your life is once again in a state of blissful, organized happiness. You’ve heard of this one. Kondo is a Japanese tidying expert who advocates keeping only what you really, really love. This book spent a long time on the New York Times Bestseller list for a good reason: everyone can benefit from its great advice! 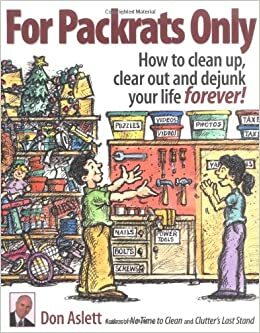 Before there was Marie Kondo, there was Linda Cobb! With gentle humor, Cobb tackles a subject that, at its worst, brings most of us to tears. She takes cleaning room by room, just like your mom told you, but her accumulated knowledge goes way beyond dusting and organizing dishware by size. 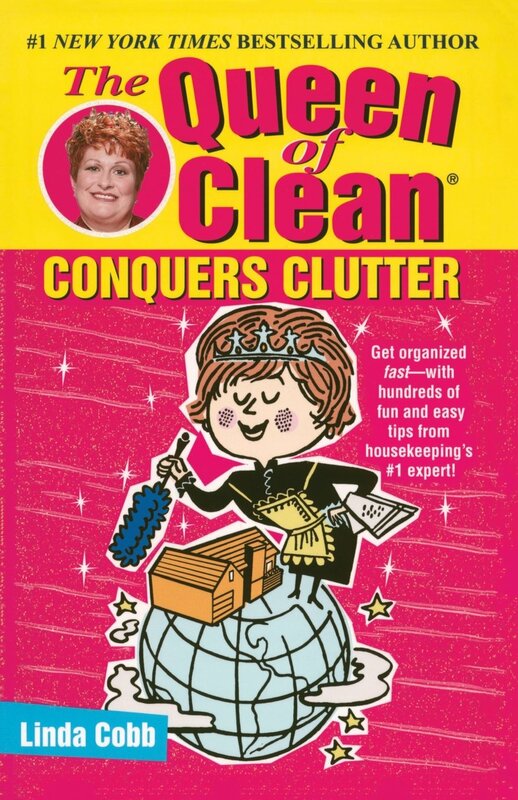 If you like her timeless style, be sure to check out her other housekeeping books, too. Did you know that clutter naturally stresses you out? If your desk at work has been driving you crazy, then the mountain of papers and pile of pens may have something to do with it! Get to a zen state of calm with the help of this decluttering staple. Bottom line: you should clean! This doesn’t have to be an onerous task and it doesn’t have to involve enormous quantities of bleach. Donna Smallin reveals the best household hacks in history, from white vinegar against ants to baking soda in the detergent. You’ll never look back! Need space? It’s there! Our final spotlight features myriad ways of storing, stowing, and generally organizing the things you own. (Let’s face it: you won’t be able to get rid of everything!) As many a grateful reader has learned, this book is particularly useful for families. Everyone can benefit from a regular once-over. Whether you’re getting rid of old stuff or finding space for new stuff, these books are on your side! 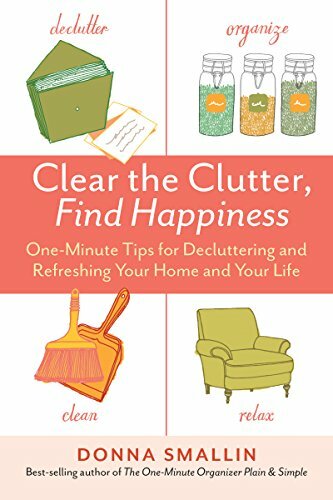 Categories: Books, Non Fiction | Tags: cleaning, clutter, de-clutter, de-cluttering, declutter, decluttering, housekeeping, kondo | Permalink. …where will it all go? It’s that time of year again–the time when we all marvel at how holiday-themed decorations, merchandise, and music seem to arrive earlier and earlier. That time when some retailers begin to take a stand against opening on Thanksgiving, and when other retailers begin their campaigns to capture their share of our Black Friday shopping mania. I will admit that as someone with an aversion to crowds, competition, and hand-to-hand combat, the pictures of night-before camp outs and wild-eyed stampedes make me more nervous than curious about exactly how cheaply I can wrap up my holiday shopping. If these sales and wee-hours-of-the-morning openings weren’t popular and profitable, the stores wouldn’t do them. Clearly enough people are willing to go to great lengths to participate in these sales, and I wish them a safe and successful shopping trip. I will be hiding under my bed until it’s all over. During the rest of the year when a potential pepper spray attack isn’t a realistic hazard, I enjoy a good bout of retail therapy as much as the next person. What I don’t particularly enjoy is adding more clutter to my house–despite my best efforts to use what I already have, tackle clutter before it takes over, and avoid unnecessary purchases, it’s a challenge to incorporate the newly acquired into the tenuous organization of my home. *Photo used under a Creative Commons license. Categories: Books, Non Fiction | Tags: Black Friday, clutter | Permalink.